Britronica was an ambient/techno festival run by British promoter Nick Hobbs and Russian music stalwart Artem Troitsky. It was held in Moscow & featured the likes of Aphex Twin, Autechre, Paul Oakenfold, The Orb & Pritchard’s solo alias, Reload. Effortlessly gliding between mainstream attention & underground admiration, Pritchard’s two decade-plus career has accumulated over twenty aliases, monikers, side-ambitions & focal projects to cover his comprehensive execution of numerous genres. So much so that one could write an essay-length piece focusing on any one of his project’s back-catalogues of work. However the output of this piece will draw attention to the work released on Pritchard & collaborator Tom Middleton’s label, Evolution. The pair met at a club night run by Pritchard in Somerset after Middleton decided to move there to further his studies. The pair then launched their own label called ‘Evolution’ in ’91, named after a Carl Craig track. It was this experimentation & self-admitted naivety as young producers that allowed the pair to sweep across genres and create pieces of low slung techno, brutal ravey-acid, break beat/hip-hop, crunchy sci-fi electronica & seminal pieces of ambient history. It’s also worth noting that Middleton was also a classical trained pianist & cellist who found himself collaborating under the name Schizophrenia with Richard James for his Analogue Bubblebath EP. The pair still produce today: Pritchard has since retired all his monikers to solely focus on producing under his own name now (the most recent retired projects being Africa Hitech with Steve Spacek & Harmonic 313). Likewise with Middleton & his now-defunct productions as The Modwheel, Cosmos & AMBA. One of the most recognisable names the pair have work under. To most heads, their debut album 76:14 on the defunct Dedicated label is considered to be one of the all-time best examples of the ‘chill-out; ambient’ genre. However, quite often it was their coalescing of techno, ambient & electroncia that create unique pieces to reflect the zeitgeist. Reload initially started as a solo alias of Pritchard until Middleton jumped on board a couple of years later on “A Collection of Short Stories” and which then led to create Reload & E621. 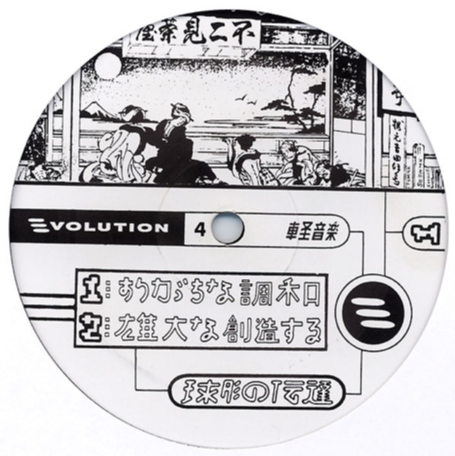 On this EP, Track A1 later appeared on the “Theory of Evolution” compilation re-titled “Sexomatic”. Another alias that started off as a solo Pritchard piece of work only to have E621 woven into production & create tracks that reflected the classic 808 and 909 sounds. An obvious homage to NY Garage, DJ Piere / Strictly Rhythm, only harbouring five releases, two of which were produced in conjunction with Kevin Hann of 28 East Boyz. A classic piece of house music history. Global Communication Mix for FACT MAG.